5. It was once believed that their species might be extinct by the end of the twentieth century-- but thanks to conservation efforts, their number is now increasing. However, poachers are still on the run. WHERE TO TRACK THE MOUNTAIN GORILLAS? Congo, on the other hand, is in a state of anarchy as of now so it is not really advisable. Have you watched this documentary called Virunga? I suggest you do! It’s very informative! In all fairness to Congo, the group of Rangers in the Virunga National Park are sincere with their duties and are risking their lives to protect the park and all the species living in it. 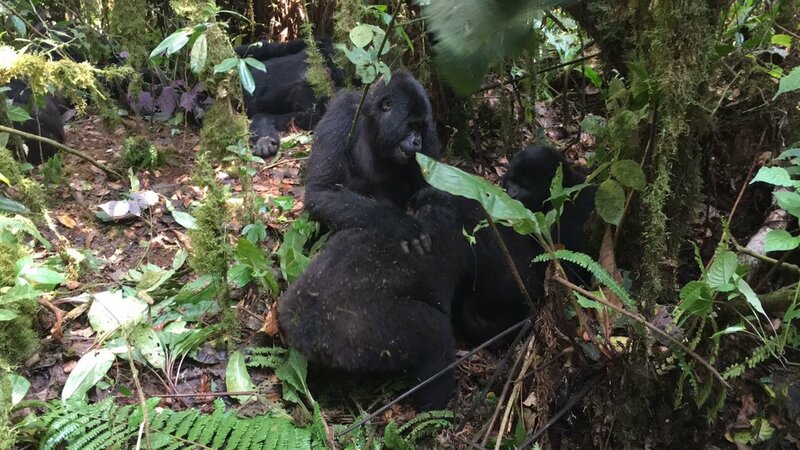 (a lot of them died protecting it) They are even taking care of Orphan Gorillas whose parents were killed by the poachers!! For now, we can be of help even without going there, visit virunga.org for details :) I just hope the situation will get better soon for them. Visa on Arrival is $50 and you only need your passport and your yellow fever vaccine. They might ask for your itinerary too. But when you plan to visit KENYA, UGANDA, and RWANDA, you can easily apply for an EAST AFRICA TOURIST VISA which will save you money and your precious time. The visa will cost you $100, instead of paying $50 for the tourist visa per country. This will likewise save you from the hassle of applying for the e-visa for each country. You just have to apply for e-visa online and choose the Multiple Entry East African Visa and within 3 days you'll get the approval! 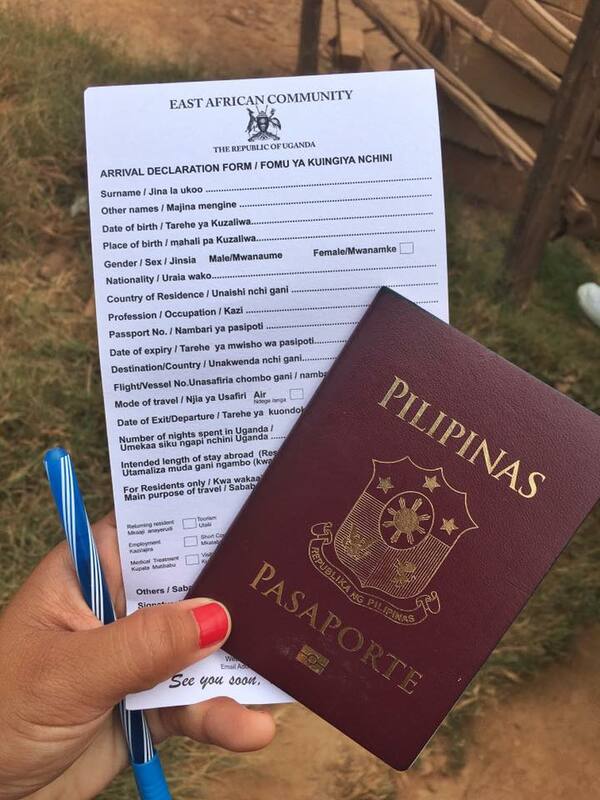 You need to apply in the country where you will first enter, once you get the document, print it. Show a copy to the Immigration Officer together with your passport and yellow fever vaccine, of course. HOW TO TRACK THE MOUNTAIN GORILLAS IN UGANDA? It’s not what you’re thinking of-- it isn’t done with a tracking device! 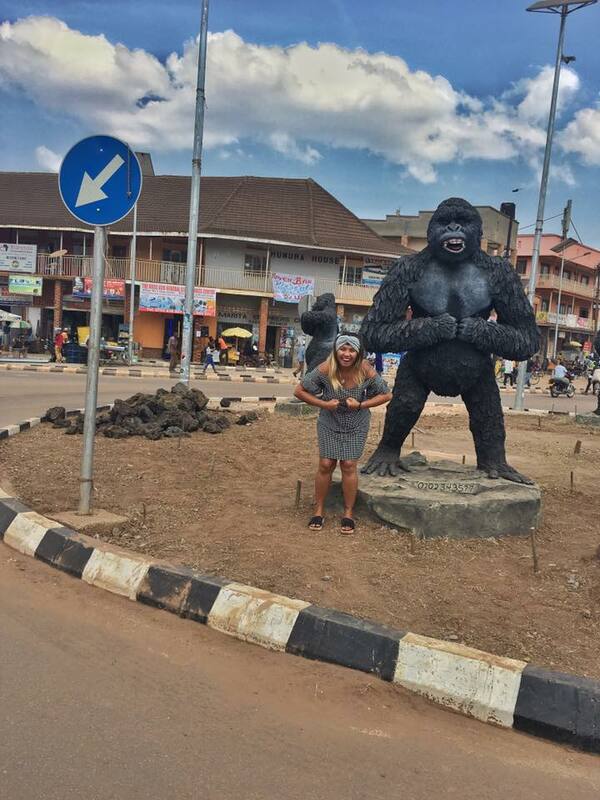 Gorillas always move around so it’s really hard to find them. 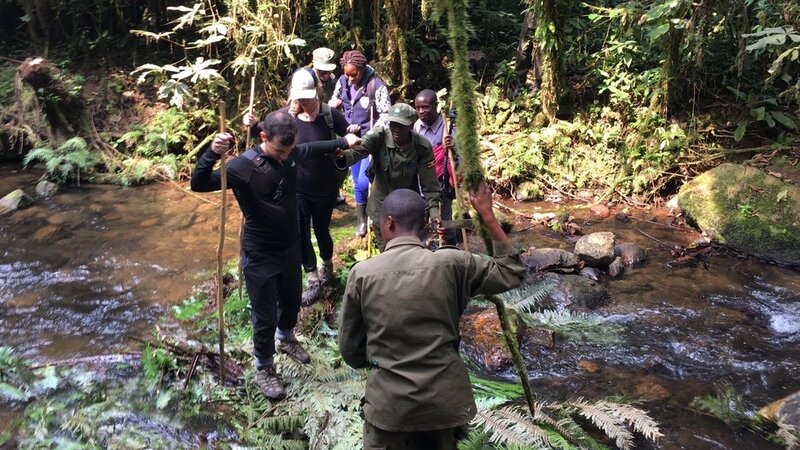 But early in the morning, a group of Park Rangers hike ahead of a scheduled group and follow the Gorillas’ fresh poops in order to find them! Hahaha. “ARE YOU READY TO PENETRATE? 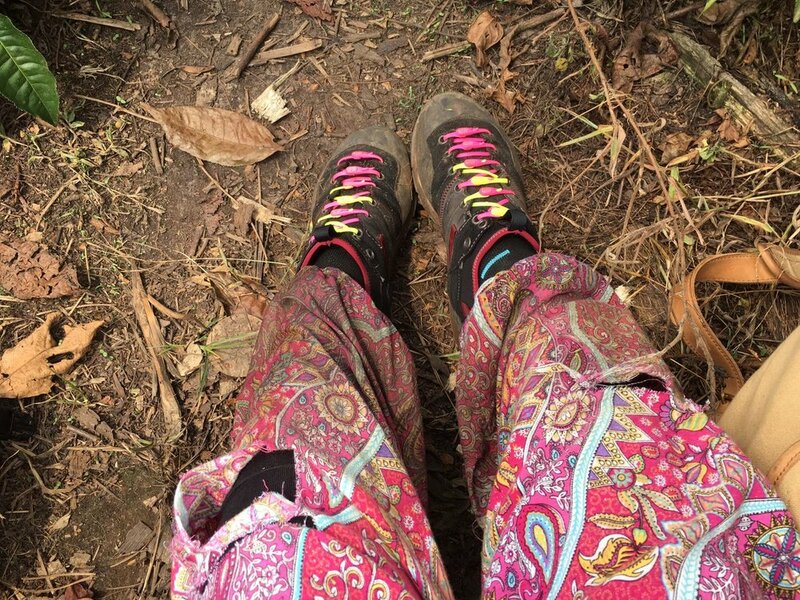 ?” Those were the words that our ranger said the moment we arrived in the jump off point and everyone in our group just burst out laughing. Hahaha. I was in a group with 4 other tourists, 2 are flight attendants and the other 2 is a lovely couple from Denmark who was also traveling around Africa. There were 7 National Park Guards with us too. Bwindi Impenetrable National Park is the home to 120 species of mammals, 348 species of birds, 220 species of butterflies, 27 species of frogs, chameleons, geckos, and many endangered species. It is a sanctuary of more or less 340 Mountain Gorillas which makes up almost half of their population in the world. We started the hike on an off-road. There was a tea plantation close by so we had a sip of white tea. As I look back, it must have been the calm before the storm haha. 1. 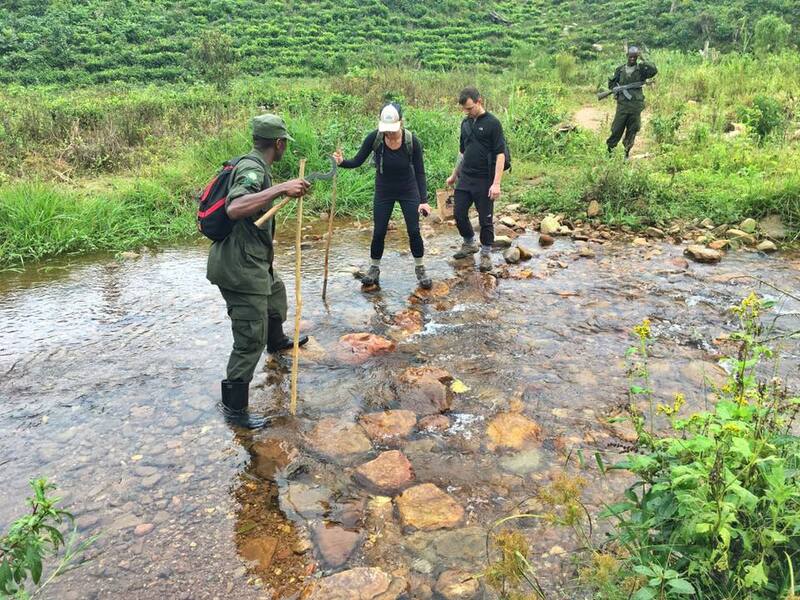 Only a maximum of 8 people are allowed to go on a trek, so make sure to get your permit way ahead of time-- this is to protect both the Mountain Gorillas and the guests. Mountain Gorillas are really shy, but once they get triggered or once they feel threatened, they will attack and protect their own. This minimizes behavioral disturbance to the gorillas and the risk of their exposure to human-borne diseases. 2. Only 10 groups are allowed per day-- for the same reason stated above. Another reason is that their habitat is being preserved. It is their only home and it is very fragile. Once it gets destructed, these Mountain Gorillas will have nowhere else to live and will eventually die. 3. The maximum time you can spend with the gorillas is one hour-- however, if the gorillas become agitated or nervous, the guide will finish the visit early. 4. If you are feeling ill, or you are carrying a contagious disease, volunteer to stay behind. An alternative visit will be arranged for you, or you will be refunded your money-- gorillas are very susceptible to human diseases, so this is to minimize the risk of harming them. 1. Book ahead of time. And by that, I mean months ahead. There are only limited slots so make sure to get yours before slots get sold out. Contact Crystal Lodges Uganda. 3. Don’t even think of doing it on your own. Aside from being dangerous, it’s impossible! Security checkpoints are everywhere so good luck in penetrating with them on the watch. Haha. 4. Be on your proper hiking attire- bring gloves and raincoat too. The climb is tough, and with the unpredictable weather, it could be tougher!